Little did I know that nearly all the clothes I wear are made by brands which advocate fast fashion and all-cause extreme damage to the environment which I, like many, was completely uneducated about. Before I continue to ramble on I would 100% recommend you watching Stacey Dooley’s ‘Fashion’s Dirty Secrets’. It’s currently unavailable on BBC Iplayer however you can find it online on other sites. I would also recommend watching ‘The True Cost’. These documentaries really opened my eyes on the impacts which fashion has had and is having upon the environment and the detrimental effect in which fast fashion has created. The increase of social media has sent us all into a spiral of consuming clothing at rapid speed. The rise of influencers has resulted in me anyway looking up to them and what they are wearing and then buying clothing to keep up with the trends. The clothes being advertised are affordable and on trend so why wouldn’t we buy them?? Fast fashion is something that all of us as consumers are literally consumed in. Gone are the days where retailers would bring out new clothing lines for Spring, Summer, Autumn and Winter. Brands and retailers are now releasing new collections all of the time making it easier than ever to go shopping and walk out with something new. I don’t think I have ever gone shopping and come home with nothing. The thing which shocked me the most into changing my buying habits was a section in Stacey Dooley’s ‘Fashion’s Dirty Secrets’. I watched this documentary when it was first aired and was shocked by what I was learning. I have just watched it again and it is that which really prompted me to write about it. Cotton is what a huge amount of our clothes are made of. Cotton is also responsible for one of the biggest environmental catastrophes so far. 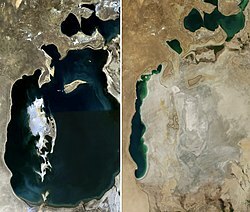 The Aral Sea which is located in the countries of Kazakhstan and Uzbekistan essentially shrunk due to Soviet engineers diverting the main rivers to provide water for cotton farms instead of water to the sea. 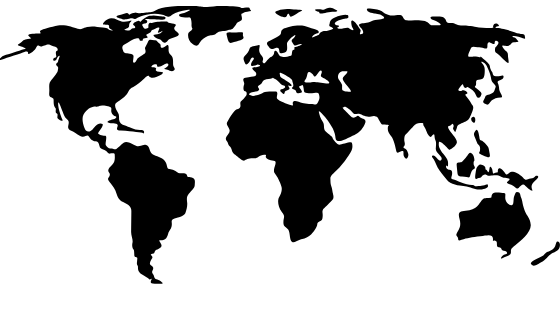 These days because regions that produce the cotton for our clothes at extreme rates are doing so, the rivers leading to the sea are drained before it even reaches the Aral, resulting in a profound impact on the region. And if that isn’t scary enough, just think of the chemicals being pumped into rivers and lakes by large factories making our clothing which affect the families having to use the water for their every day lives. If I could afford to only shop at retailers which are sustainable I would completely boycott these brands. One of the big problems with this boycott, however, is that some brands do not disclose how and where their clothes are made making it difficult to know their sustainability. The other thing which makes this so difficult is that sustainable clothing comes with a somewhat more substantial price tag. 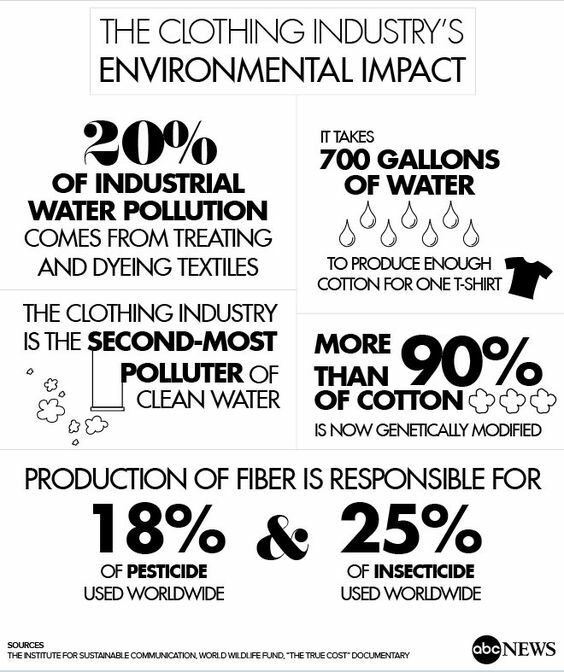 This makes it easy to see why so many of us are drawn into buying quantities of poorly made and unsustainable clothing from the high street and online stores instead of 1 or 2 more quality pieces which haven’t had a detrimental effect on our environment. 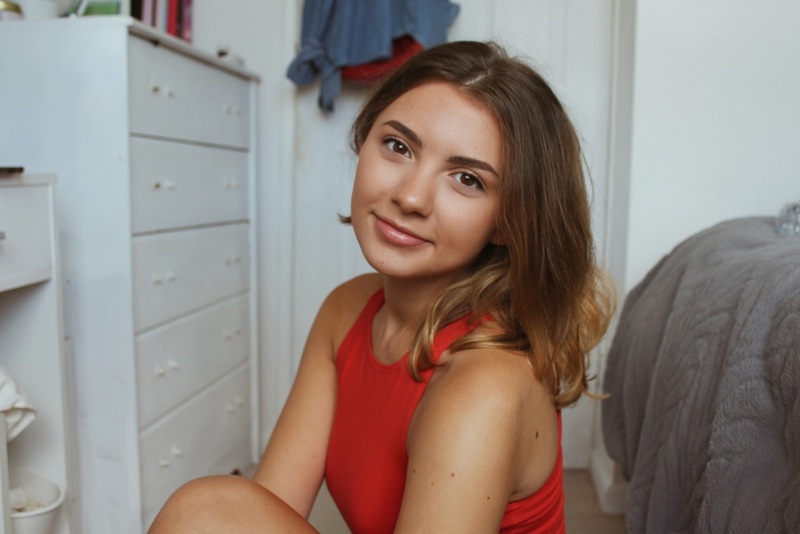 I set myself a new years resolution to STOP BUYING CLOTHES at the start of the year and my aim is to try and only buy clothes when I need to (e.g replacing something which has broken or warn, an event I don’t have anything for etc,) and to buy recycled clothing from sites or charity shops. I would be lying if I said I will never treat myself again, but I would be telling the truth if I said I will never buy clothes without thinking about the damage doing so has done. The question which I want answering is what can I and others can do to help prevent this. 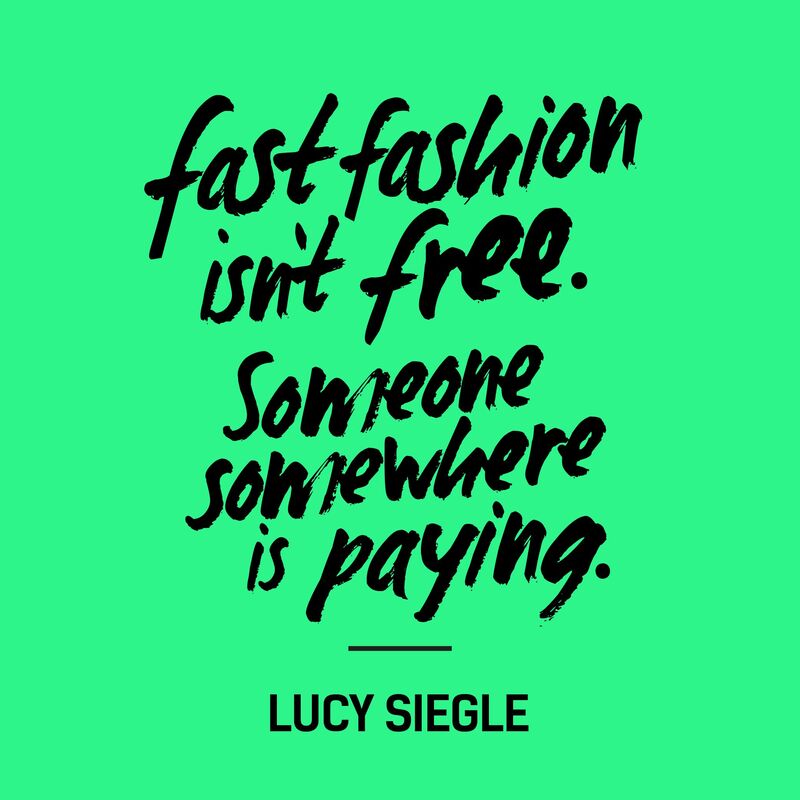 One of the main things I can think of which we can do is to stop CONSUMING fashion. We just need to stop buying so many clothes for the sake of it and stop feeding retailers our money to harm the environment. Spend your time choosing what you’re going to buy, question yourself and why you’re going to buy it and make sure that you will wear it. I have a full draw overflowing with clothes I have bought ‘just because’ I could which I know I will never wear because truly, I never needed them in the first place. 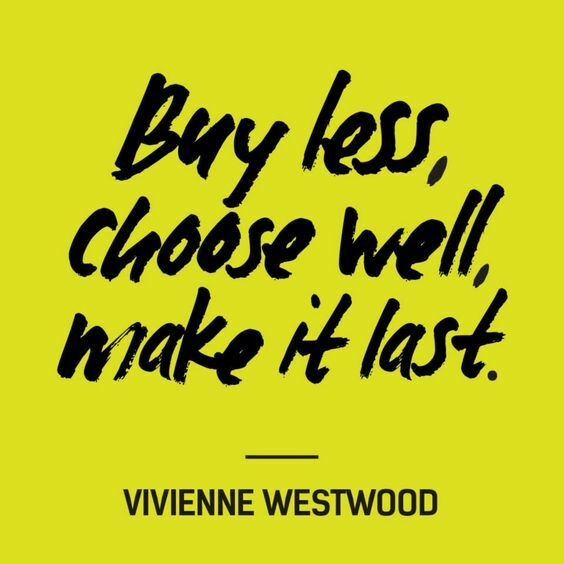 It is down to you at the end of the day to take responsibility to educate yourself and others about fast fashion and wastage and to then choose the path you wish to go down. From reducing what you buy from these companies from 10 items to maybe 2 or 3 you have already made a difference. Small steps create big changes!! I have put below some facts and figures I have found when reading and researching about fast fashion. Some of these really shocked me and might interest you too. Note: The links below are where I have learnt the majority about this topic. The photos are hyperlinked to their source.